Since September has been a pretty great month and I’m really looking forward to October too, I’ve decided to give the latter a great welcome and bid the former a proper farewell. A recap is quite appropriate, yes? Since I’m unofficially putting my Swoon Worthy Saturday meme on hold and since Behind The Blog is on hiatus too, I have lots of space to fill within the weeks to come. This means more opportunities for new stuff on the blog! I’ll still be continuing my List Of Awesome feature though- I’ve already got some ideas lined up! And, you’ll be seeing more book reviews! I hope October turns out to be a great month for this blog! 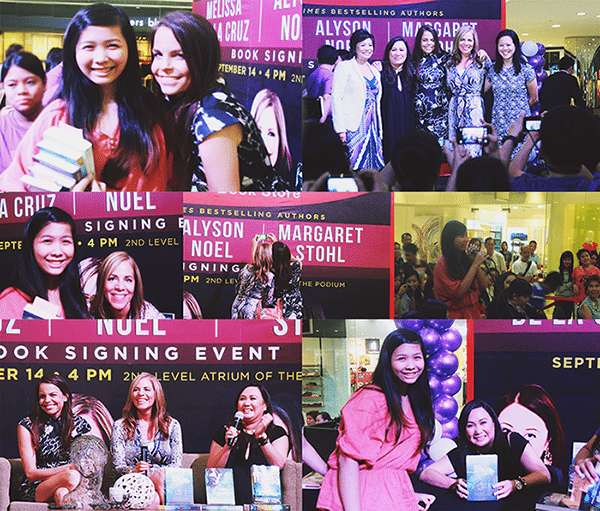 I never got to post about the signing but ahhh, it was one of the best events of last month! 3 AUTHORS, you guys! And they were all so funny, especially Margaret!. Alyson was cool too, with her infectious laugh and huge grin. I haven’t read both Margaret and Alyson but I have read practically ALL of Melissa’s books so it was her I really fangirled about! She even agreed to customize her dedication and she wrote “Kingsley loves ya!” on one of my books and “Jack loves ya!” on the other so I was super happy! I was also one of the attendees that got an opportunity to ask a question and I was just really flailing inside! Overall, the signing was a great experience. I’m super in love with these songs! I totally raped the replay button on my iPod because I’m too addicted. If you guys are looking for cool music recs, check out these features: Listen Up by Rachel Reads & Infinite Playlist by Hello, Chelly! HOUSE OF HADES!!!! I’m so excited especially after that major cliffy at the end of Mark of Athena. I also can’t wait till Allegiant and I hope it’s better than Insurgent. Looks like you had a great month, I didn’t really…I was in a bit of a reading slump even though I had heaps of great books to read. Excuse me while I – HOUSE OF HAAAAAAAAAAADES. I’m unbelievably excited for it. Like excited in a way where I jump up and down repeatedly until I make a hole in the ground. I’m getting all so warm even when I think about it! 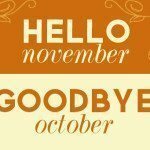 Seems like you had a great month, so hope you’ll enjoy October as much! I am excited for Allegiant too! Also, I can’t wait for Premeditated which comes out the 8th I believe. I’m glad you had so much fun meeting all of those authors! I love your recap! I seriously cannot wait for Allegiant! I need more FOUR in my life haha <3 Royals has been stuck in my head since it came out. I freaking love that song, plus Lorde sings really good. GUUURL I LUH YOU. Okay first of all can I just say that I freaking love the fact that you decided to start doing recaps? YAAAY. And ooooh lala, you met so many cool authors! The Manila event seems so fun :) Urrggh I still need to read Fangirl, and I can’t believe Allegiant is releasing THIS MONTH WHAT WHAT. And thank you so much for mentioning my blog, because it’s kind of ish “new”. ;) Lastly, OMG OMG ROYALS BY LORDE. My jam right now I can’t even. LUUURVE. Okay this comment was very fangirly but I hope you don’t mind. ;) Lovely post, Hazel! The event recap looks awesome, so many beautiful pictures (and you are so cute!!! where have you been hiding???). And I see you’ve read some really good books this month (well, last month! ), too! One of my team members read Fangirl and she absolutely loved it. I definitely need to pick it up soon! anyhoo~! I will be stalking you cause you’re awesome and your blog is just b-e-a-u-tiful! :) I’m actually gonna go ahead and you to my blog roll right now :D HA! Who’s stalking who, now?! I’ve never tasted Hazelnut coffee before! I wonder if tastes like this Hazelnut chocolate drink I love. 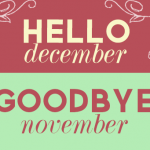 I did have a pretty fab month! Thank you so much for the greet! Hehe and thank you for saying I’m cute. (I agree with you, LOL HAHAHAHA) I hope you get to read Fangirl soon! It was a lovely book!